Ensuring quality healthcare for future generations. ​Our Foundation is a separate 501(c)(3) non-profit corporation, with a volunteer board of directors that set policies and direct the activities of the organization. All gifts donated to the Foundation are tax deductible to the full extent currently allowed by law. 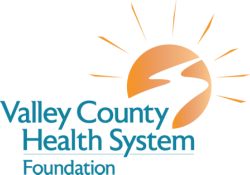 The Foundation's mission is to seek, receive and administer donations and gifts for the sole benefit of Valley County Health System. Our number one priority is enhancing and sustaining high-quality healthcare in Central Nebraska. Valley County Health System (VCHS) has been providing compassionate and convenient healthcare to Central Nebraskans for more than 50 years. In the early 1960s, residents of Valley County voted to establish Valley County Hospital, replacing a facility located on South 16th Street in Ord that was considered in poor repair by the Nebraska State Health Department. The Valley County Hospital was dedicated on August 2, 1964. Patients were transferred from the old facility on September 24, 1964. The hospital facility opened with 31 acute care beds, two labor beds, two recovery beds, three intensive care beds and 20 long-term care beds. In 1975, a new addition to Valley County Hospital added 45 long term care beds. In 1991, another addition added space for the Long Term Care, Rehabilitation Services, Business and Central Supply Departments. In 2001, Valley County Hospital became a Critical Access Hospital. This program was adopted by Nebraska in 1997. It allows for a different method of Medicare payment to small rural hospitals. In addition, it provides Valley County Hospital more flexibility so we may operate more efficiently and better meet the needs of our patients. In 2005, Valley County Hospital changed its name to Valley County Health System—a name more reflective of the wide variety of services provided throughout the facility. Today, the Health System employs more than 275 full-time and part-time employees.